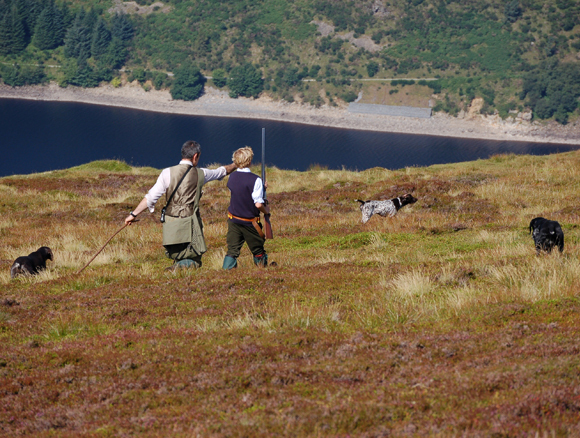 Ralia Estate in Inverness-shire runs to 23,000 acres and provides a diverse range of quality shooting, from driven grouse, pheasants and partridges to duck flighting, and red deer stalking as well as trout fishing on the Upper River Spey and Truim. Additionally, there is a stocked trout loch and a pitch and putt golf course within the grounds of the lodge policies. The Drumochter Hills are home to Ralia estate’s driven grouse shooting, which is famed for its spectacular contours and challenging grouse. Ralia is able to offer some of the highest and most exciting grouse shooting in the country, with lines of butts from 2000 to 2700 feet. Also available are driven days of 50 to 100 brace to teams of 8 or 9 guns, providing some of the most testing grouse shooting possible. Additionally, Ralia has walked up grouse shooting over pointers early in the season, using the estate’s very own highly trained pointers. 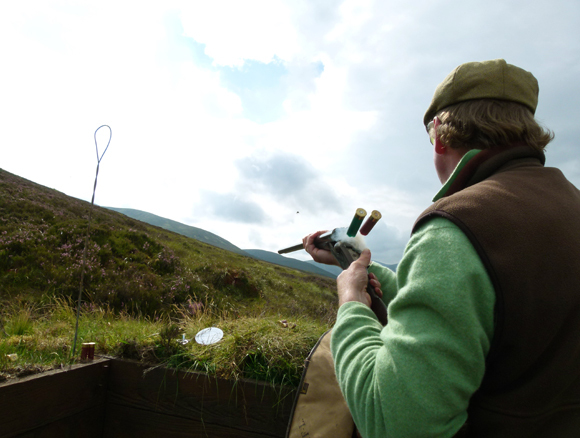 Ralia is a well established and compact driven partridge shoot encompassing heather moorland and steep wooded banks. 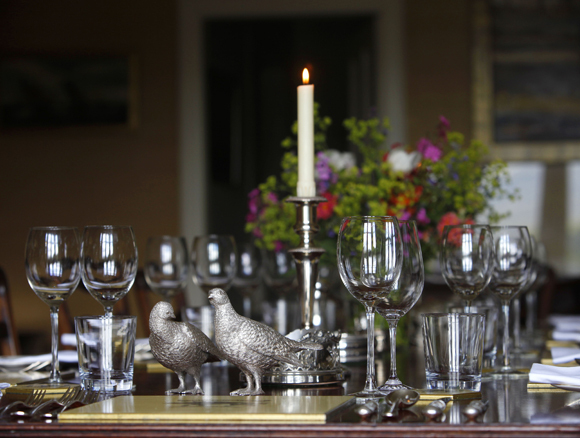 The estate is able to offer a wonderful mix of drives from classic partridge drives to high birds. With 35 driven days a year, bags range from 500 bird days early season to 100/150 birds in January. Pheasant shooting starts on 1 November, but with only a limited number of pheasant drives, days are on a mixed pheasant and partridge basis. Rough shooting is also available for parties of 2-6 guns on a walked up or mini driven basis for a wide variety of game including pheasant, partridge, grouse, snipe, woodcock, duck and hares. 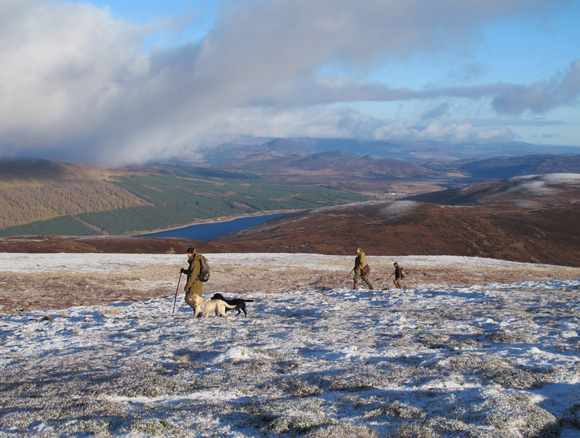 Ralia has both stag and hind stalking for up to two rifles per day on the dramatic North Drumochter hills as well as the more accessible low lying Ralia Hills. Stag stalking takes place in the first three weeks of October. Ralia Lodge is a classic Victorian shooting lodge that sits in a sheltered position with a stunning outlook across to the Monadhliath Mountains. Accommodation is all inclusive, guests are looked after by a friendly and efficient team of staff, and are encouraged to treat the house as their home. Relax in the large characterful drawing room complete with deep sofas and a roaring fire and let the hospitality flow whilst enjoying excellent home produced and locally sourced food provided by the lodge cook. The lodge comprises 8 bedrooms, all of which are en suite. 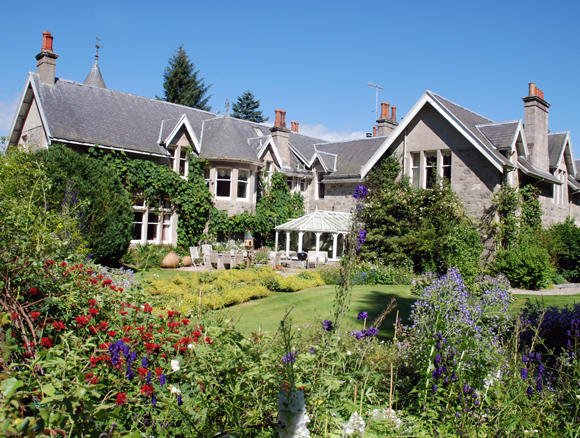 Just 50 minutes from Inverness airport and a two hour drive from both Edinburgh and Glasgow.